Another term comes to end at Wyburns and we are flying towards summer very quickly. It has been another great week and was wonderful seeing so many parents for our partnership meetings and sharing your progress this year. We are all looking forward to Wyburns got Talent and it will be a fun end to the term. Homework over Easter is revision please. Just a little each day is enough - there are tests on Spag.com to access too. You are in control of how much you revise. Just be mindful that when you come back you only have a couple of weeks to get back in the swing of things before demonstrating your BRILLIANCE. Keep yourself ticking over but also get lots of rest and have fun. You deserve a super break but please revise as and when you can please. Year five you have less homework but a very nice little project to work on. Feel free to have a go at any year six homework if you want though. Have a lovely break and remember the more you put in, the more you get out. Enjoy Easter and see you all on Tuesday 23rd April. Homework - Year 5. You're also welcome to try some of year six as well if you want to! Well done to all of year six for working so hard in their assessments this week. All of them worked really hard and showed great determination. We will have a final push after Easter but with a positive mindset and focus we are confident that all of them will shine and be year 7 ready come September! Year five showed super teamwork this week as whilst Year six were working on their assessments they took part in the lunar park project where they had to create a new theme park on the moon! It was great fun and they had to show some amazing maths skills and also design a persuasive leaflet. We also held our Wyburns Got Talent auditions and our chosen acts, which were voted in by the children, will do class 8 proud and showcase their awesome talents. Finally, on Friday we had an awesome afternoon having fun with Yoga and creating our own story in a sensory room at the CLC centre in Wickford. It was such a peaceful afternoon and it was exactly what everyone needed after such a busy week. I look forward to seeing you all this week for our partnership meetings. Also remember homework due in next Friday. I have out copies this week and if you cannot do it at home them homework club is every Wednesday lunchtime. Feel free to see me if you find it tricky but please give it a go and try your best. Good morning. Only two weeks left of another very busy but fun half-term. The children have been working hard in English and getting to grips with Shakespeare! We have been looking at "The Tempest" and written descriptive settings and character descriptions. This week we will look at writing an alternative ending. In Maths we have been getting to grips with Algebra and trying to understand how you work out what the missing numbers could be. It has been tricky but the children have shown great enthusiasm and determination to try and develop their understanding. Many thanks to all of you for coming to our Brilliance Assembly on Friday. The children loved having you come in and share their learning with you. Very well done to all of the children and a huge well done to our singers, dancers and for the speech! I'm sure you enjoyed them. This week year six have assessments so we can fine tune our preparation for SATs and revision after Easter. Please reassure your children that these are not SATs and all they need to do is try their best. Please look at the SPAG and Maths knowldege organisers that i have attached on our page. A copy of this will be available to take in our talk and share tonight. Looking forward to seeing you all later. On the attachment below there are two revision aids that will help year five and year six. Feel free to speak with your child and ask them what they feel confident in and what they need to work on. Whatever they need to work please go over this with them as practicing these things little and often will really help them. This resource sheet will help year five and will be hugely beneficial for SAT's practice with year six. If you need a hard copy then please ask you child to ask me and i will happily print it out for them. 3 weeks gone and 3 to go! We cannot believe how fast this half-term is going and we are only three more weeks away from our Easter Break. This week has been another busy one and also very very windy! In Maths we have come to the end of our Fractions, Decimals and Percentages topic and the children have all worked extremely hard. Some of the children need to have more belief in their abilities. We will be setting challenging tasks and it is ok to not know the answer. Having a go and trying your best is good enough so stay determined. We have been looking at letters this week and the children have had a choice of who they will write to. Will it be Adolf Hitler, Judith Kerr or Anne Frank. They have just finished their plan and we look forward to sharing some of these with you next week during our Brilliance Assembly. Have a great weekend and remember SPAG.com, timetables rockstars and if you are too busy to complete your homework at home then come and join homework club on a Wednesday lunchtime in the hub. World book day, Diaries and so much more! Another week has flown by for class 8. We have finished our diary entries in English from the viewpoint of Anne Frank. The children have been so engaged in this and it has been lovely to see how creative they have been and emotive. Our maths has continued to challenge us. Year five have worked on developing their understanding of fractions and decimals whilst Year 6 have been working on finding percentages. They have worked hard to develop their fluency in this and also working on their reasoning skills as well. In History we have still be working on World War 2 and looked at the blitz and also the persecution of the Jewish people. I have been very impressed with how mature the children have been throughout this topic and also the questions they have been asking. In other subject areas we have been running in PE, creating propaganda posters in Art and developing our inference skills in reading. It is non stop busy! Just a quicker reminder that it is our Brilliance Assembly on Friday 22nd March. It is only two weeks away and as we know it will fly be. The class have already shared with me what they want to show off to you so be prepared. Have a great weekend and thanks for all your support. Wow, what a busy first week back after a lovely half term break where we were blessed with warm sunshine. As you can see from the photos we had such a brilliant World War 2 day. From looking at real artefacts, to learning how to treat the war wounded and even how to dispose of bombs and putting out fires! It was a real hands on day and the children loved it. They also learned so many new things as well - as did us teachers! In Maths we are continuing with our reasoning skills linked to multiplication and division as well as fractions, decimals and percentages. In English we have been looking at the diaries of Anne Frank and next week we will start to write our own versions up. In Science we started our new topic about Electricity and had a fun lesson trying to make different circuits. Our History is still all about World War 2 and the children wrote some very creative poems with Mrs Wood all about the blitz. Hopefully on our page next week you will see some of our amazing diary entries. We are all working very hard now as head full steam ahead towards the end of the school year. 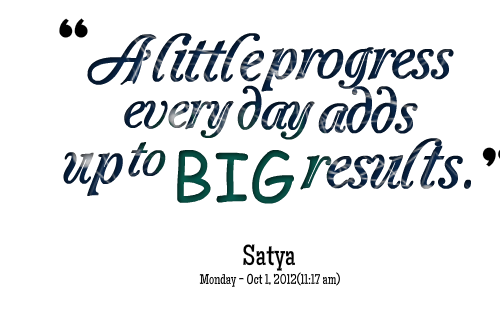 You are all amazing and if you work hard, you make great progress. Simples! Homework this week in Math is word problems for year six and multiplying with decimals for year five. If multiplying by decimals is too tricky then try multiplying two digit numbers by one digit numbers. In reading it is about Anne Frank. There are three challenges. You only need to do one of them please. Decide which challenge is right for you, have a go and try your best. As always, if you find any areas of homework hard then feel free to come and tell me and we can go over this during a lunchtime. Remember there is also homework club every Wednesday lunchtime as well if you find it hard to do at home. We did it! Class 8 have completed another half-term at Wyburns and what a busy final week it was. On behalf of all the teachers and LSA's across both classes we would like to say a huge well done to all he children for trying so hard in their assessments. We appreciate it is a hard week but the determination, resilience and willingness to try their best has shone through. It is lovely to see so many children making the progress they deserve and it once again proves that if you work hard, listen well and remain positive about learning then you will get the rewards. For their Big write today we changed it so the children had complete choice over what they wrote about. They could also present it however they wanted. It was lovely to see stories, poetry, songs, fact sheets etc. When the children had completed it they had an opportunity to share their story with Acorns. We were also very impressed by all of the writing from Acorns and we have some fantastic writers already in there. Have a very restful break. Please try the little and often approach with homework. I have attached some revision for the year 6's and they will be bringing home a reading comprehension too. these are revision materials to help your child. Thanks for coming to our SAT's chat this evening and we hope it was helpful. Here is some information for you to look through if needed. The children will be BRILLIANT as I know they will all try their best and reach their potential. These are just tools to assist. Please let us know if we can help or if you have any further questions. The books I mentioned in the meeting are CGP 10 minute tests. I also like the achieve books. There is one for maths, reading and spag. Another busy week last week in class 8. We finished our excellent stories on "The Piano" and have created a class book. The children are looking forward to sharing these with you in our next talk and share session. We have continued to interpret data in maths and moved onto pictograms (trickier than expected) and how we can use fractions and percentages to answer questions when using a pie chart. 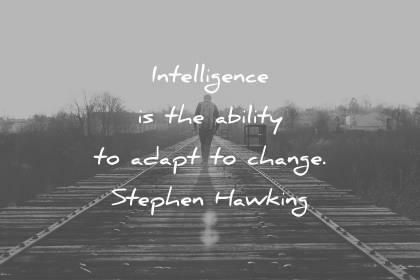 This coming week is assessment week so get to bed nice and early so you're ready to show how super smart you are this week. You have all worked very hard and this is your chance to shine and show off. Let's have a great last week and then we have a lovely half -term break. We are over halfway through the year now! How fast has it gone? Every Wednesday we have Cross country/running games, which is outside and compulsory. If you child cannot participate then we do need a note explaining why they cannot take part. Can you also ensure their outdoor kit is appropriate. They will need running trainers, tracksuit bottoms, jumper and even a lightweight tracksuit top. It has been very cold lately so the children need to dress for this. A good idea is to bring a couple of carrier bags or bin bags so the children can put their dirty PE kit into it once they have changed back into their school uniform. We really appreciate your support with this as it is a very enjoyable lesson for all involved when the children are dressed appropriately. A very busy week in class 8 was rounded off by a fun - filled NSPCC number day. As you can see from the photos we had so much fun all based around maths. We did fractions frenzy in the hall, played who wants to be a maths millionaire? We even designed our own maths game and got super creative with shape tessellation. In our English writing we finished our story based around the piano. Some of the writing produced was amazing and the use of imagery made the story come to life. In maths we have focused on interpreting data. Even though we found it challenging at times, we never gave up and started to get to grips with it. Well done class 8 for another great week. Fractions, The Piano and everything else! 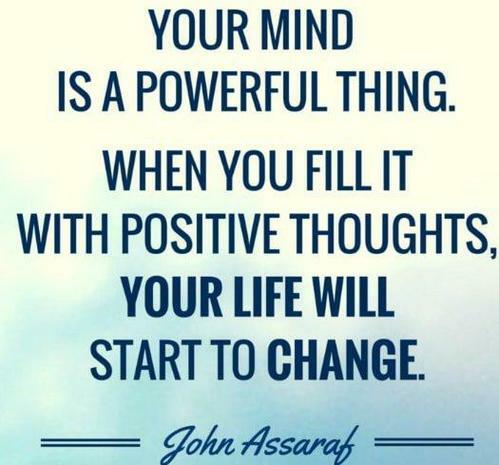 Class 8 have been working so hard this week and it is lovely to see so many of you working hard and having such a positive approach to everything you are doing, Our work will be challenging but always have in your head the word YET! If you cannot do something then just add YET at the end of it. 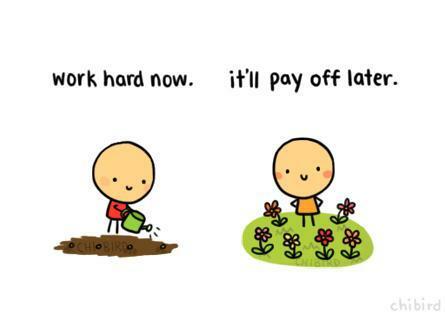 If you keep working hard then soon you will be able to do it. We have continued our fractions topic and moved on fractions of quantities and SAT style questions. In English the children have produced fantastic setting descriptions and speech based around the story of "The Piano." The children are continuing to be enthused by our World War 2 topic and this week produced creative work linked to the battle of Dunkirk. Some children wrote poems, some went for newspaper reports and we even had a group of girls writing their own songs! Keep up the fantastic attitude class 8. It is a pleasure to teach you and we will smash it this year. Homework this week has a maths focus as it is consolidating everything we have been covering in fractions. The questions are quite tricky so try to do it little and often rather than all in one go. This is due in on Friday 8th February. Keep going onto Spag.com and Timestables rockstars as well please. I look forward to seeing how well you did when we mark it together on Friday 8th February. Class 8 are in full swing now. We are still continuing with fractions and are now dividing them and looking at SAT style questions. In English we finished our War poems and have moved onto a narrative based around the short animation called "The Piano." We are looking forward to the children writing a narrative based around the animation as some of their character and setting descriptions have used wonderful vocabulary. In History we have started our World War 2 topic and the children have been so engrossed in it. We have spent all afternoon on it the past two Fridays and it is so lovely to see them engaged and thirsty for knowledge. As always we have been non-stop and look forward to another busy week next week. 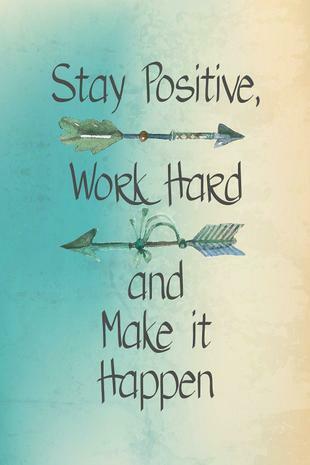 Well done to all of Class 8 for such a positive first week back. We got straight back into learning with our unit of fractions continuing and our English war poems starting. We were very lucky to have a story teller come in on Monday and ask your children if they remember how to make a chicken from a tea towel! We also visited Pizza Express and as you can see from the pictures the children had a great time and their excellent behaviour was commented on by the Pizza Express staff. Well done. We look forward to another hard-working productive term. Please feel free to come and see any of us should you wish to. Happy new year and all the very best for 2019. Mr Young, Mrs Edmunds and Miss Jude would like to say a huge thank you for all the thoughtful gifts and cards. It is was very generous and greatly appreciated. We would like to wish you and all of class 8 a very happy christmas and all the very best for 2019. Stay safe, rest well and remember there is always a little homework you can do everyday. We go again in January and the countdown to SATS and year 7 begins! That has to be one of the busiest weeks ever in school. Where do we start? As well as all the Christmas events happening, we have also managed to start our letter from a World War 1 solider all about the Christmas Truce. They will be finished early next week. We have also manged to continue our work on Fractions and soon will be able to multiply and divide fractions. A huge well done to all of Class 8 for their excellent behaviour when went to see Snow White and the Seven Dwarfs. What a wonderful panto it was and even Mr Young managed to charm one the of members of the show! We also sang our Christmas songs at the church on Thursday morning and it blew me away. What a fantastic performance and the singing was out of this world. Well done to Harrison and Alice for their poetry readings, you were excellent. We also squeezed in painting our Dragon's eye, making our Christmas mats and centre pieces for our delicious Christmas dinner and we have started our very funny Christmas cards . Next week is so busy again with finishing our cards, glossing our Dragon's eye, finishing our moving vehicle, completing our Science investigation and our World War 1 letter. We are nearly there. Let's do this. Table decorations, table mats, making christmas cards, christmas dinner and painting a Dragon's eye! Another very very busy week in Wyburns. Well done to year six for working so hard in their Reading and SPAG tests. There is still lots of work to do but it is great to see so many children improving their scores. 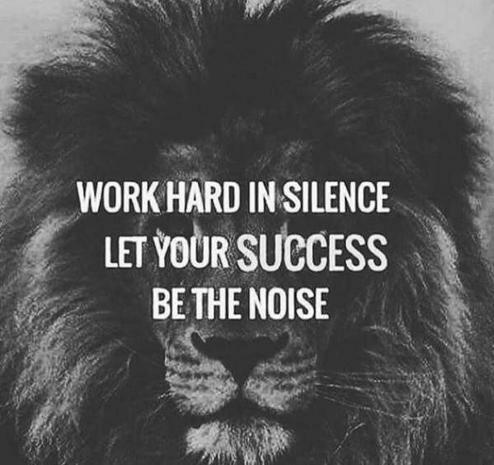 Keep on working so hard! We finally finished our explanation texts all about our amazing circulatory system. Some of their final drafts were amazing. You can see some of them on our class pages. In Maths we are really getting to grips with fractions and we are up to adding with different denominators and even adding mixed numbers with fractions ... then simplifying our answer!!! Very tricky. Our busy week ended with a visit from the Birdman and it was wonderful. We found out so many different facts and they even flew around our heads. Our assembly this week was the children who go to Rock steady. What amazing talented musicians we have. Finally, our homework this week that MUST be handed in is a poetry competition. We wil be choosing the best two per year group and sending them off to the Premier League. If we are lucky enough to win then we will get a visit from a celebrity with the actual Premier League trophy!! So get writing and make it brilliant. Many thanks. We are getting nearer to Mr Clause visiting! Class 8 have had another busy week. We have started our huge unit of Fractions in Maths. Keep on working on your times tables as this is key to understanding fractions. We are linking our Science and English together and the children have started to draft their Explanation text. We look forward to showing you the finished product next week. Well done to all of Year 6 who performed so well in for the Rayleigh lights event. It was Mr Young's first year of being part of this and I was extremely proud of you all. The Christmas Fair was a fantastic event and again many thanks for coming along, spending your pennies and making it a wonderful occasion. Finally, apologies for the late putting up of homework. I had a few technical errors with the website. It is all there now so please have a go and try your best. We go again next week for another busy week. Santa is getting nearer! Mr Young and Miss Jude. Another busy week in class 8. As you can see from the photos we have been working hard as the build up to Christmas continues. In Maths we worked on using the BODMAS method to help us understand how to calculate with different operations. Please ask you child what this means. It was tricky but we got there in the end. 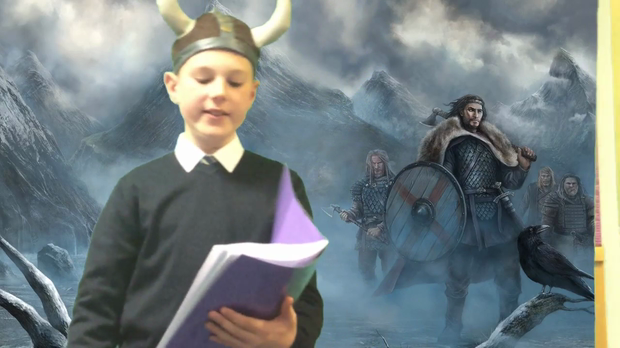 In English we finally managed to type up our newspaper reports about those vile - Vikings and their attack on our soil! Please read the two examples if you can as they really make you feel like you were there. We are well on the way with our clay model of a Dragon's eye and will paint this next week so it looks life like. We are also on the way to making our own cars. Lots of sawing and measuring were done so it matches our plan. In Science we were very brave and cut up a real Lamb's heart. There were only a few screams and pale faces BUT it was a great way to see a how a real heart works up close. Lots of learning as always. Finally, the class worked in small groups to come up with a jingle to the tune of "Jingle Bells." This was for Road Safety week. Some of them were very creative and very funny, The class enjoyed sharing them with each other. Let's keep going Class 8. P.S We have also finished a our class decoration for Christmas. We hope you like it. Don't worry. It was not that scary! Division, Newspaper reports and much more! Another super busy week in class 8 for everyone. We really got to grips with Division this week in Maths and most of us are feeling confident, not only in dreaded long division but also bus stop, using factors and even being able to solve some mentally. Well done for your perseverance with Division and not being afraid to really challenge yourself. Remember if you don't know something, just add YET at the end as one day you will understand. In English we started our newspaper reports and focused on the use of passive voice, direct and reported speech and what makes an effective introduction. We are looking forward to typing these up in the computing suite next week. We also tested our heart rate in Science, had a discussion about role and responsibilities in PSHE and started to make a dragon's eye using clay in Art. To end another busy week we all came to school in our pyjamas, dressing gowns and even slippers to raise money for Children in Need. Well done for your participation and all of the Spurs fans in the class loved Mr Young's West Ham dressing gown! Mr Young would like to say a huge well done and thank you to class 8 for working so hard when he wasn't in for a few days. All of the staff told me how brilliant you all were and how you behaved for the other teachers. Fortunately, the eye is getting better and it takes a lot more than this to keep me away from such a wonderful class and awesome school. Remember your homework by next Friday and log on to SPAG.com and maths rockstars please. Keep working on those spellings as well. All of theses added extras will make a huge difference to your learning. We go again Monday for another busy but brilliant week. Children in need 2018 - Wearing our PJ's for the day. Homework - Due date Friday 16th November - Also remember your spellings and reading please. Year 6 are singing at the Rayleigh Lights on 29th November 2018. We have been very flexible due to various events happening. Well done all the children who completed Bikeabilty this week. You were a credit to Wyburns and we are very proud of you. We have all been developing our confidence in division during our Maths lessons and we will be continuing this next week. Our focus in English and Reading has been World War poetry and the children created some amazing "Blackout Poems" We even had a go at trying to crack a World War 1 code. After many attempts we worked it out in the end! Well done for another hard-working week. Can we learn our speech without the words? Welcome back Class 8. I hope you all had a wonderful break. This is another busy term with lots of challenges ahead. 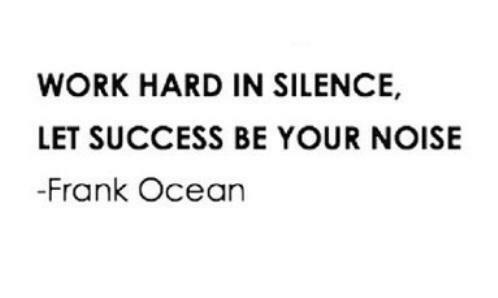 Keep on working hard and having a positive mindset. We made a good start but I know there is more to come. Let's make this a half term to remember. Class 8, can you believe there is only one more week until a well deserved week off. It has been another very busy week. It all started off with Viking Day. So many children came in dressed up and it really added to the day. Thanks for all your support. 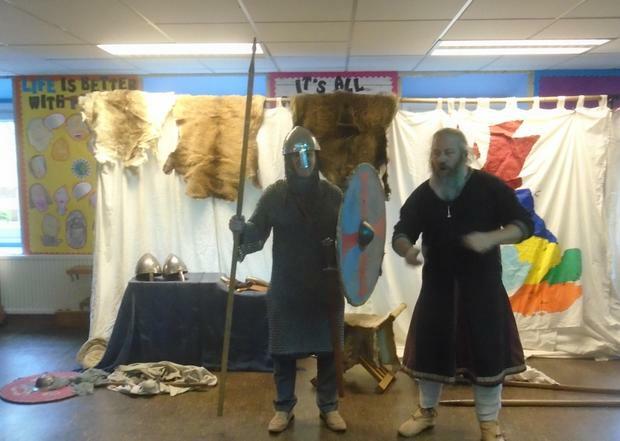 Even Mr Young got into the role of a Viking warrior! We have finished writing our versions of Beowulf and some of the writing has been fantastic. 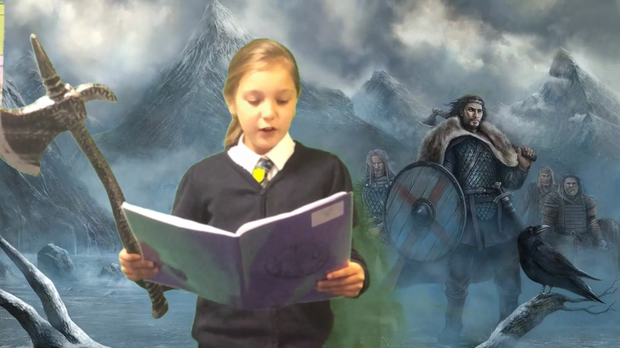 The children have also been pulling apart the longer version of Beowulf in our class reading and are really starting to improve their comprehension skills. In Maths the children have been working hard developing their fluency, reasoning and problem solving skills in addition and subtraction. On Friday we went into the computing suite and used a spreadsheet to develop our understanding of multiples. Other highlights have been completing our moving vehicles in D&T (photos to come soon), starting our computing topic of spreadsheets and carrying out research in our RE lessons about Hinduism. Remember it's assessment week next week so plenty of rest. I am also looking forward to meeting your parents at partnership meetings next week. I have lots of lovely things to tell them about you all so don't worry. 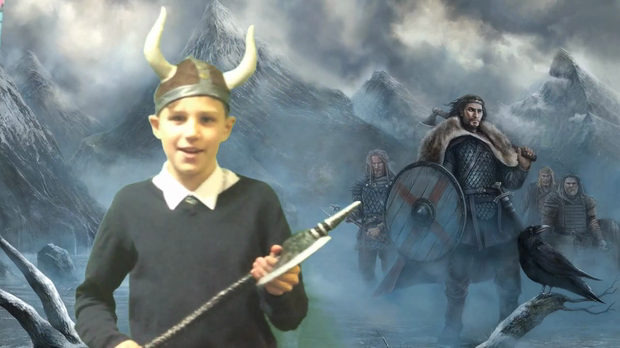 Remember Viking Day on Monday. Be prepared. Year five had a wonderful time Monday afternoon for their Prince William award (photos to come soon) and year six worked hard with Mrs Fagence getting songs ready for the Harvest assembly. Many thanks for your donations. Remember next week is Talk and Share on Tuesday and the start of the book fair in school. Please come and treat your child to a super book. The more we raise, the more free books we get for the school. Reading is a huge whole school focus this year so please help us. Have a great weekend and we look forward to seeing you for Talk and Share if you can make it. Taking shape. Next we need a motor. We added the wheels and the base this week. Finally, we found what we wanted! What is it? Year five remember your outdoor clothes on Monday for Prince William award.Thanks all. Check out Class 8 and their amazing Kenning poems. What a start to our Beowulf unit! Class 8 have had such a busy week and Mr Young has finally worked out how to put information onto the website! Yippee! In Maths we have been working hard on place value with our focus on negative numbers and Roman Numerals. In English we had such a fun start to the week by going into the woods and seeing clothes ripped, blood everywhere and food inside a den. This raised lots of questions and it gave us clues about our new writing topic! By the end of this week we would have written our own Kenning poems for our class poetry book that everyone can read and enjoy. In Reading we have started the text "Beowulf" and explored lots of vocabulary. Ask your children about double meaning words. We have also asked lots of questions so we can answer some tricky questions next week. Other highlights include a letter to Theresa May about plastic pollution and making progress in our DT lessons. We are well on the way to making our moving car. Photos will follow soon! Have a great weekend Class 8.